I actually purchased four of these wooden frames at a thrift shop for 50 cents each. I'm not sure exactly what they were for. I thought maybe a shutter. They had never been stained, painted or sealed. I like untreated rough sawn fence boards. I get these from Menard's. They are 1" x 6" x 4'. 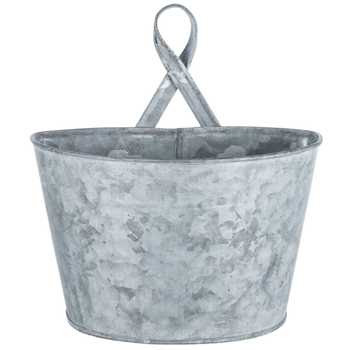 I just picked up a couple of galvanized wall planters at Hobby Lobby, (when they were 50% off). 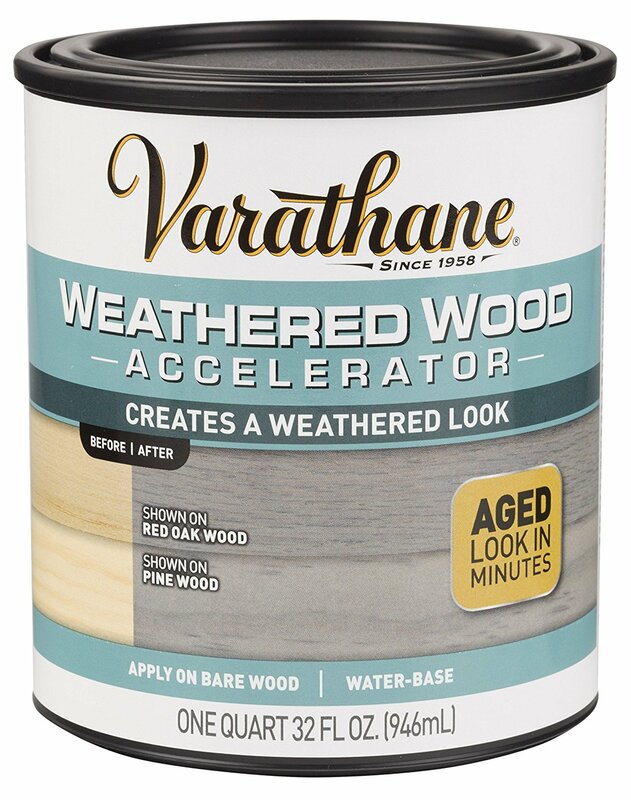 I like Varathane Weathered Wood Accelerator . Easy and fast. Easier than the steel wool/vinegar stain. 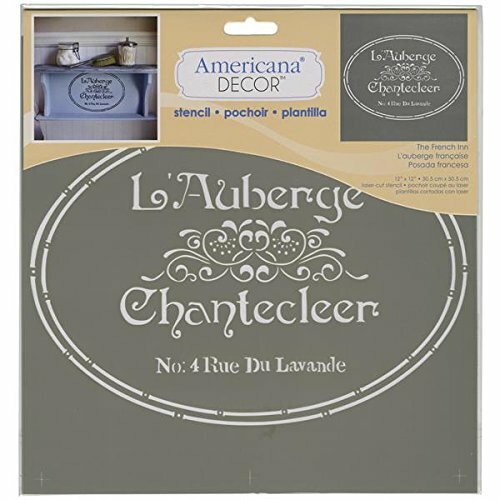 There are a few bad reviews on this product on new pine, but I have had great results. My only complaint is the Watco Lacquer suggested as a sealer. It's way too toxic smelling and combustible for me. I will use it unsealed until I find a suitable sealer. Here is my frame with one coat of weathered wood accelerator. This is my project idea being laid out on the patio. 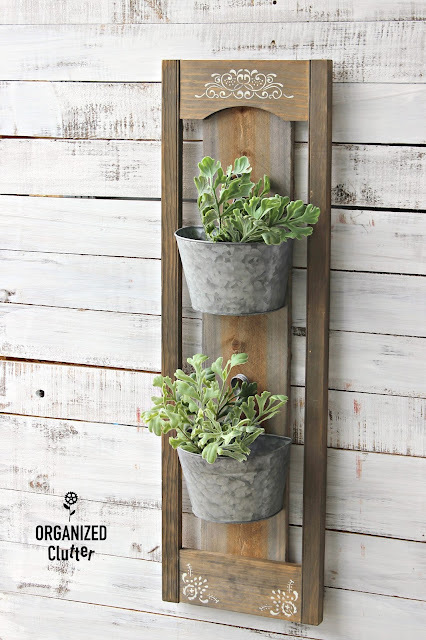 It looks like a rustic wall planter to me. So the picket is cut off to fit the frame, and screwed onto the frame from the back side. It is given one coat of Varathane Weathered Wood Accelerator. 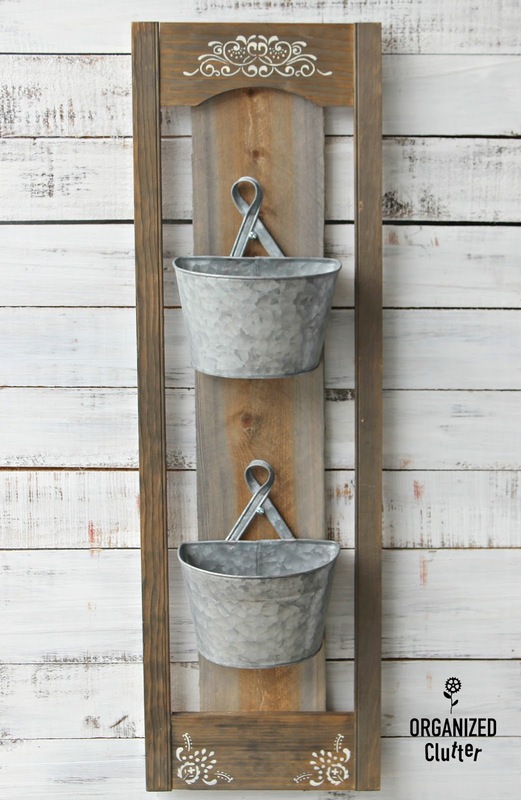 A saw tooth hanger is also added. 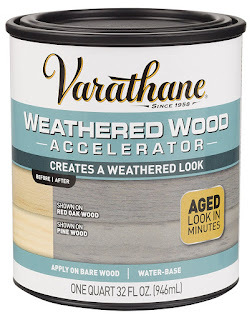 I didn't seal the Varathane Weathered Wood Accelerator at all. I used the the corner stencils from this Hobby Lobby mandala stencil on the bottom corners of my frame. I used Ceramcoat Multi-surface Paint in Buttercream to stencil the design. I love the scroll part of the Deco Art Stencil, The French Inn . 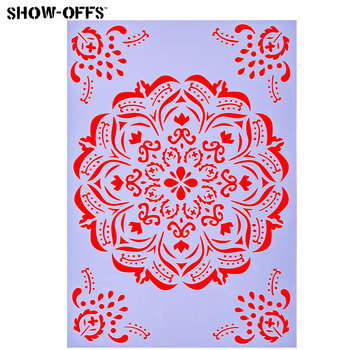 I have used this stencil in its entirety and just the scroll part. It's a great French stencil. My Hobby Lobby galvanized pots are hanging on a screw. Not screwed to my board. My Varathane Weathered Wood Accelerator is not sealed. 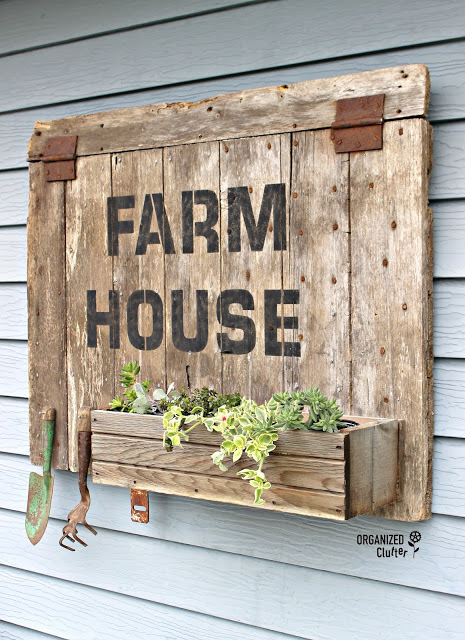 I have seen pallet projects on the Varathane Weathered Wood Accelerator website that are not sealed, and used outside. My stencil paint is the multi-surface variety that will wear well. 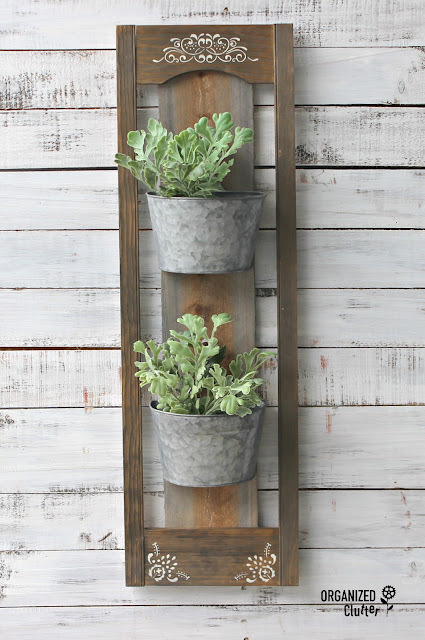 Of course it's still WAAAAYYYY to cold for real flowers here in northern Minnesota, so you will see my rustic wall planter displayed with faux Dusty Miller. My frame was a pretty cool find, but this idea would work for any rectangular, unfinished frame. Maybe these exact stencils wouldn't work. Maybe a full shutter would work. Be flexible and creative! I love the way your creative mind works, Carlene! Beautiful and may Spring arrive with some warm weather soon!! !